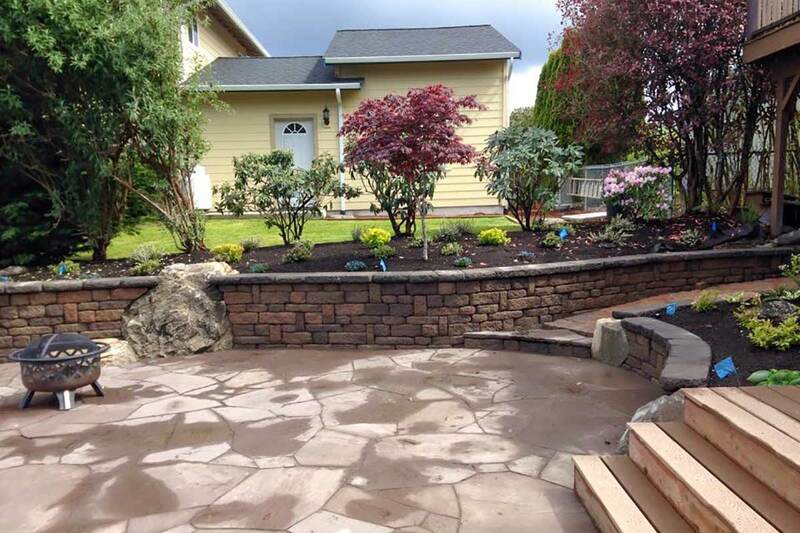 Dominion slate paver patio and matching sitting wall. 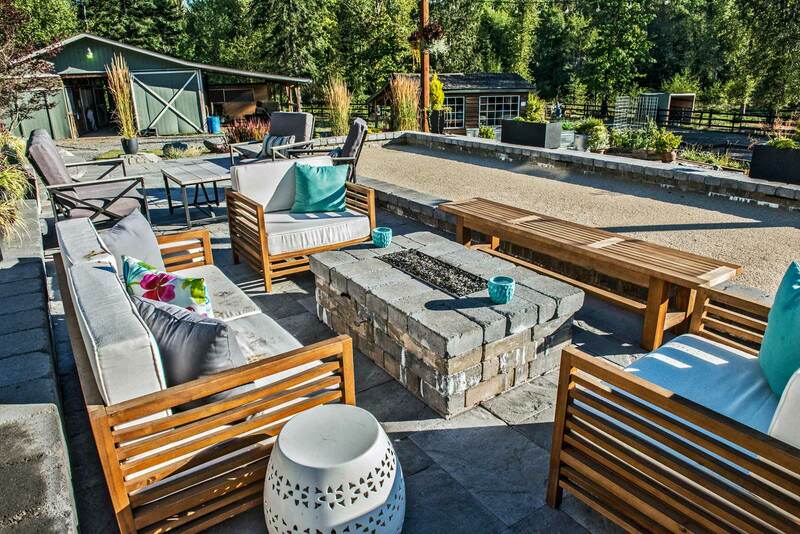 Dreamscapes turned this former hillside into an outdoor showcase! 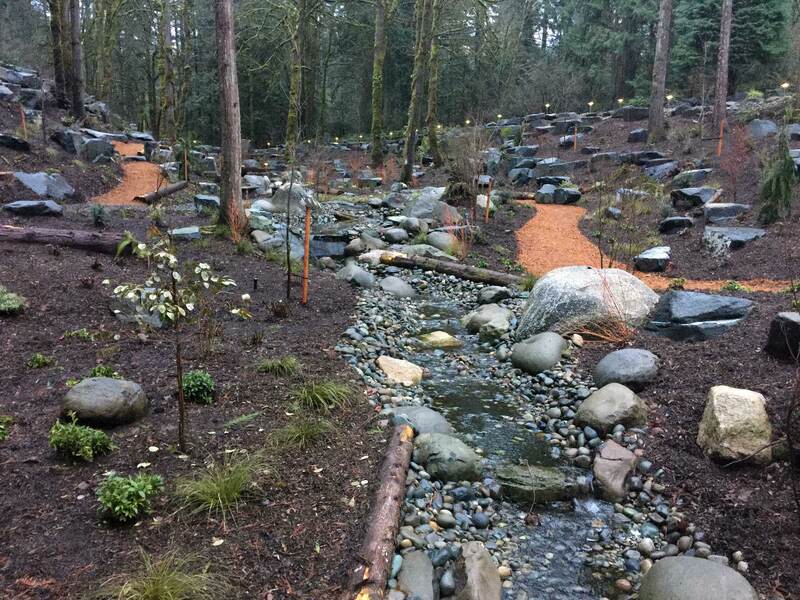 The pond project includes a variety of compementary elements, including landscaping, walking trails, low voltage lighting and other elements. 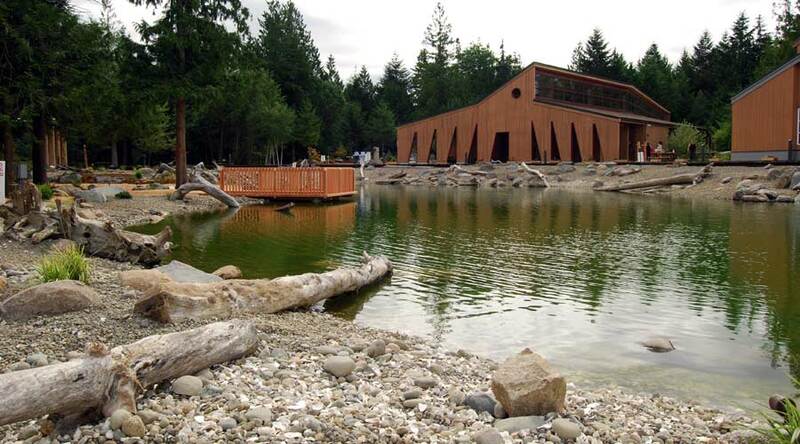 There is also a small amphitheater with a firepit in the center. We terrascaped a muddy, murky ravine on Steamboat Island, west of Olympia, into meandering trails and a pond. 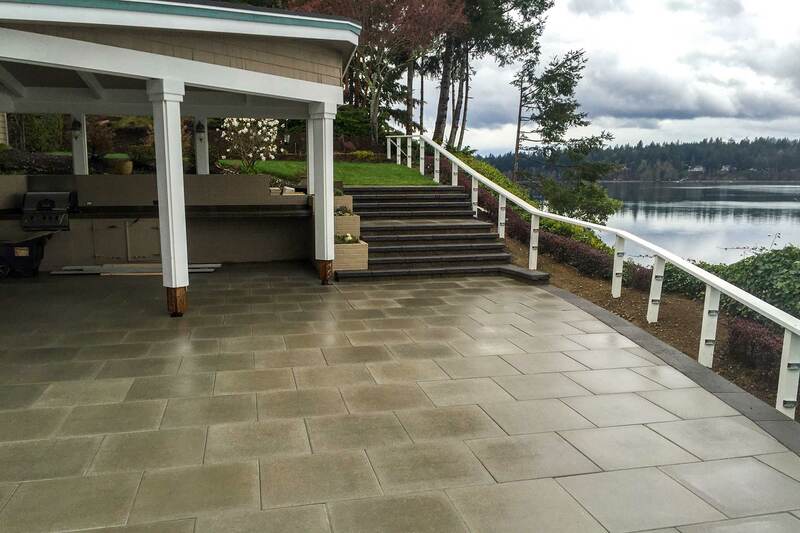 We rebuilt this paver patio overlooking Puget Sound from the ground up. 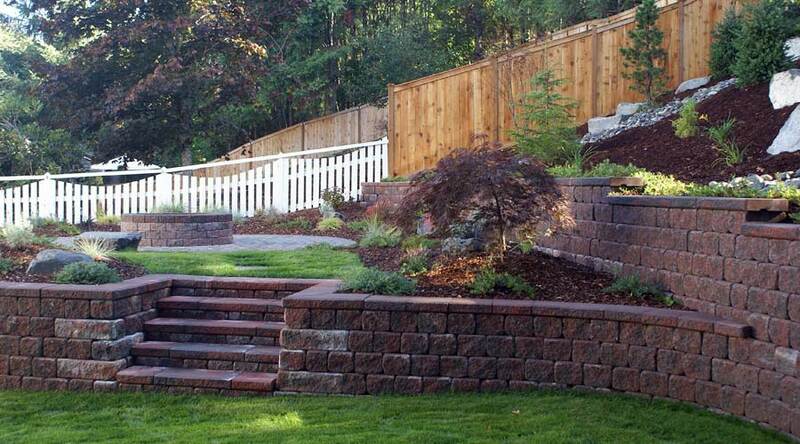 Dreamscapes Landscape and Design is a hardscape/softscape company that has been in business since 2007. 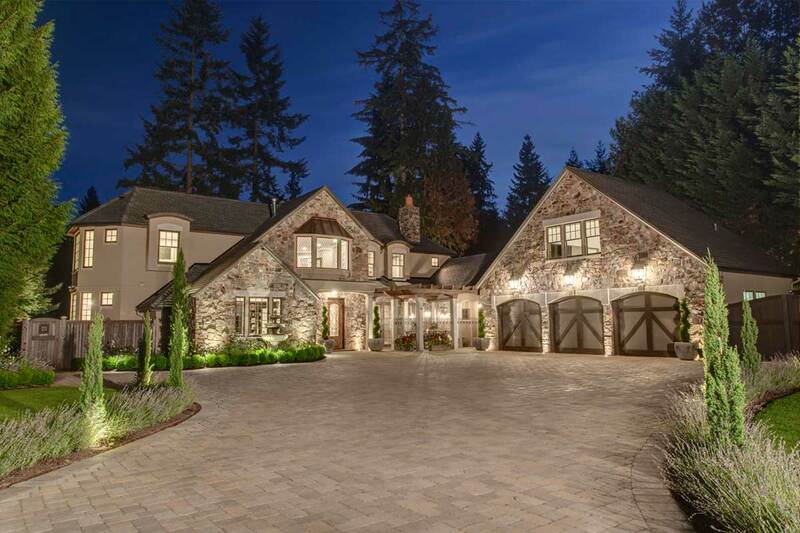 Servicing the greater Olympia area and the greater Eastside of Seattle (including Bellevue, Issaquah, Kirkland, Newcastle, Mercer Island, and Redmond, Lake Washington and Lake Sammamish), we have a combined experience of over 50 years in the landscape industry. We continue to educate ourselves to keep up with industry standards and new products to better improve the life and functionality of your project. 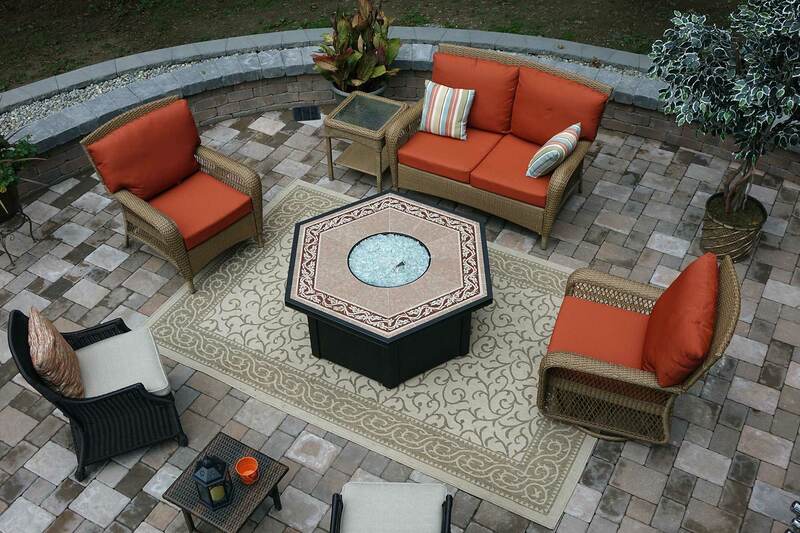 We are certified for paver installation by the ICPI (International Concrete Paver Institute) as well as being a preferred contractor for Mutual Materials, a long lived concrete products company. We are licensed, bonded and insured and our information can be found on the Contact page. Links to Labor and Industries and Department of Revenue can also be found there. On top of being professional, certified and licensed we believe that having the customer be an integral part of project design is one of the most important aspects of bringing your dream to life. After all, if you aren't involved it isn't your dream that is being installed. Please feel free to browse the different sections on our site to gain information about some of the possible requirements that may be needed to install your project. At the same time view the gallery in each section to get ideas on how you would like your project to look.